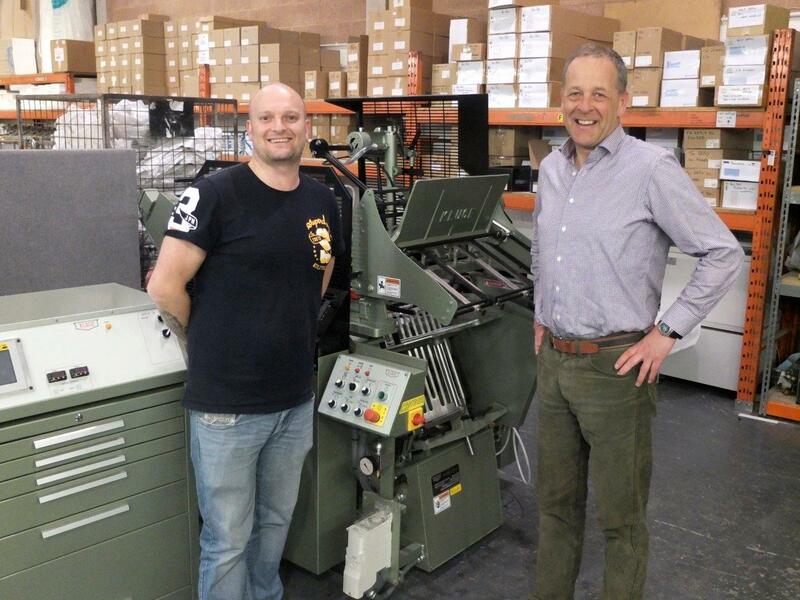 STORMPRESS, based in Exeter, Devon, UK have recently taken delivery of a Kluge EHF Foil Stamping, Embossing and Die Cutting Press. Used individually, or in combination, the capabilities of the Kluge EHF can transform the ordinary into the extraordinary, adding value to any printed piece. It’s unprecedented impression strength, unique features and user friendly modifications, make the Kluge EHF the flagship of the Kluge 14×22″ finishing presses. Stormpress’ heritage was born out of Kall Kwik. Originally operating as a Kall Kwik in Exeter for many years, Stormpress branched out 5 years ago and began building their own Stormpress brand. They have a very low staff turnover (the average length of staff service is 12 years) meaning that everyone has become an absolute expert in their role. They are widely regarded as a creative force offering quality Print for Everyone. Stormpress are able to boast an impressively long list of customers with whom they have had business relationships lasting decades.